Are you able to help all these monkeys to get their food? Then do not waste your time and beware of coconuts, they can injure animals. Feed them as quick as possible and you will love this game, have no doubt! This cute monkeys wanna to eat! They really like bananas, do you like it too? But, you have to be very attentive all these coconuts can kill this monkeys click on the falling coconuts before they hit a monkey. But do not click the bananas, cause animals will eat them! Eat as more fruits as possible and you will grow your score. 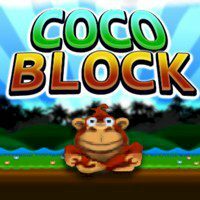 increased combo gives higher score for every successful block How quick are you in your fingers and mind? While playing this game you can improve your skills and reaction! It's time to do it right now. We wish you good luck!